Unique Arvada, Colorado, apartment community offers Olde Town charm, just minutes from downtown Denver. Built in 2008, Water Tower Flats is a 324-unit garden-style community conveniently located just nine miles from downtown Denver and steps from Olde Town Arvada. 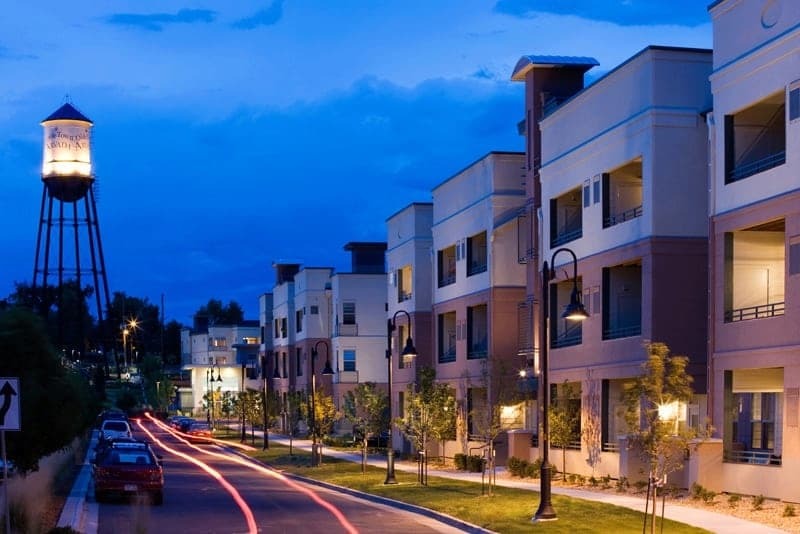 Built in 2008, the complex offers easy access to an abundance of employment, entertainment, and retail destinations in Metro Denver, while maintaining the small-town ambiance of an Arvada address. Mobility improves even further with the addition of the RTD Light Rail Station in 2016. 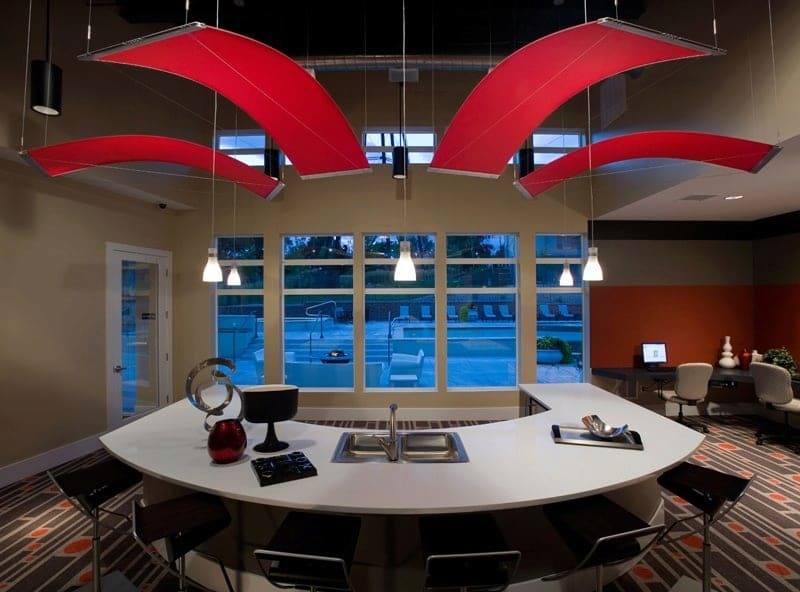 The community features a mix of one- and two-bedroom apartments in eight buildings on 10 acres. Upscale interiors feature 9-foot ceilings, custom kitchen islands, stainless steel appliances, cherry wood cabinetry, full-size in-unit washers and dryers, oval soaking tubs, contemporary lighting, crown molding, walk-in closets, private patios or balconies, and two-tone paint in select units. Water Tower Flats boasts attractive modern landscaping with lush greenbelt areas. Decorative wrought iron designs punctuate exterior facades and provide attractive caps for balconies and patios. 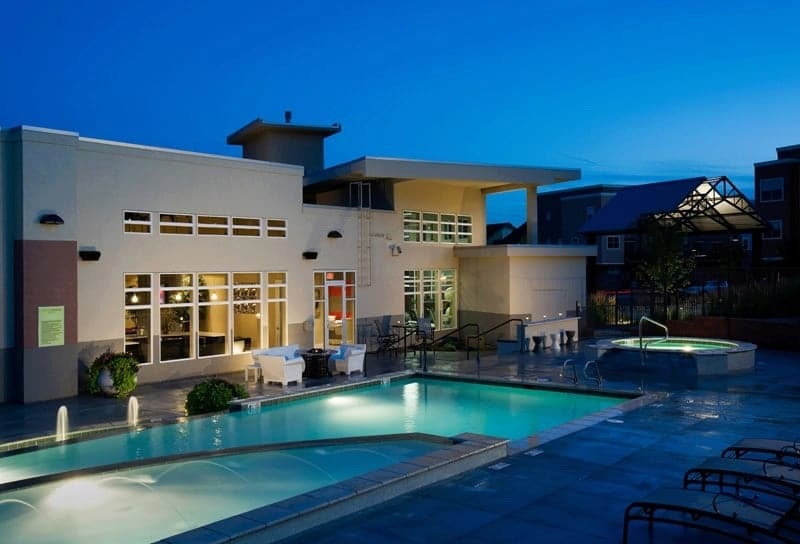 Recreational amenities include a freestanding clubhouse with lounge area, business center, movie theater, tanning booth, resort-style heated pool with spa, and a complete fitness center.